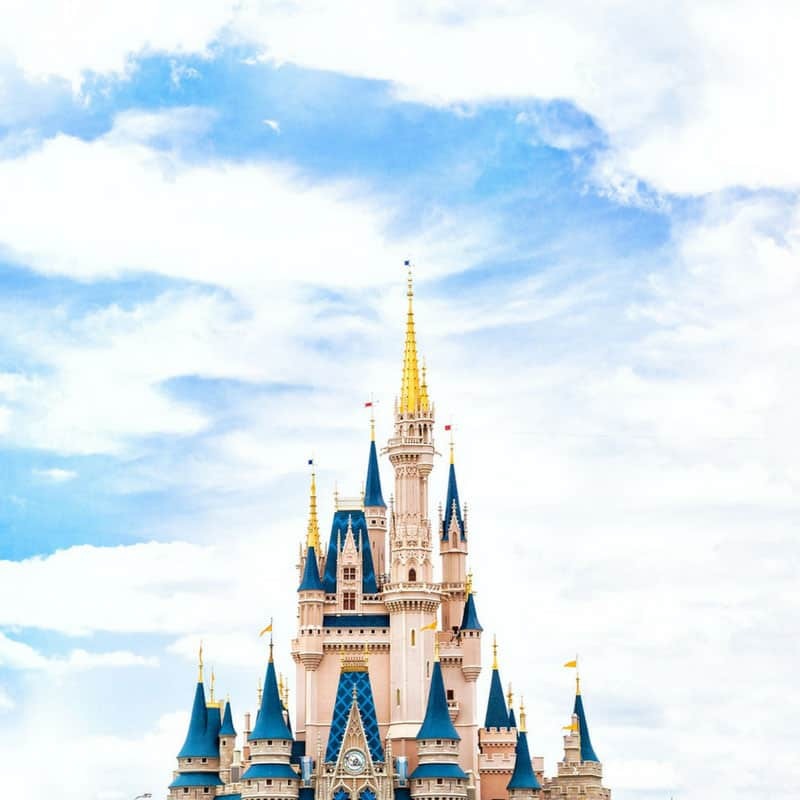 The Magic Kingdom is one of the most magical places to visit during your Disney World vacation and we hope these tips will make your visit even more enjoyable! 1. Arrive early. Be at the park entrance, ticket in hand, up to an hour before the official opening time. You’ll get more done in the first four hours than the rest of the day. 2. Don’t forget that if you’re arriving by car you will be parking at the Transportation and Ticket Center and then transferring to the park entrance by ferry boat or monorail – factor this extra time into your plans. 3. Catch the Welcome Ceremony – before the park opens the characters arrive on the steam train into the Main Street Station to put on a show for guests waiting to go into the park. 4. When you enter the park look for a sign that says Cast Members. This is the entrance that Cast Members must use – but it is also open to guests and since people mistake it for a Cast Member only entrance there is rarely a line. 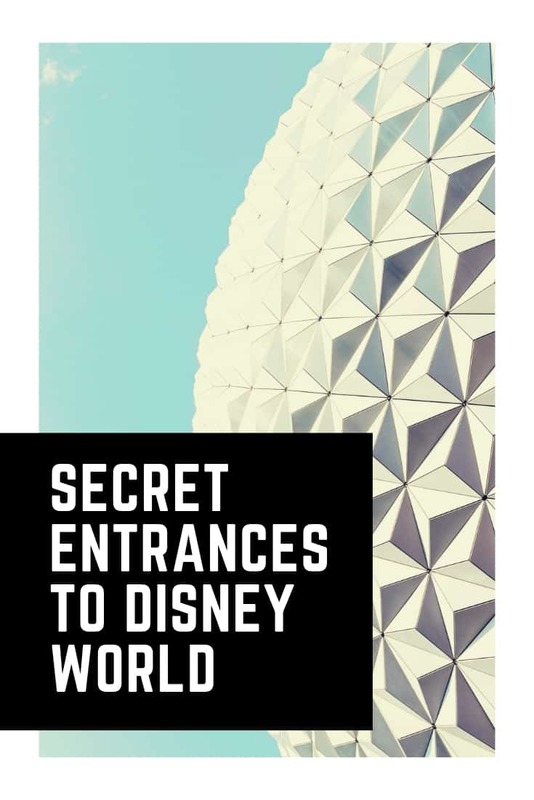 Don’t miss our super popular post where we reveal the secret entrances to all the Disney World parks! 5. If you want Main Street to yourself make a Dining Reservation for one of the park restaurants before the park opens. 6. 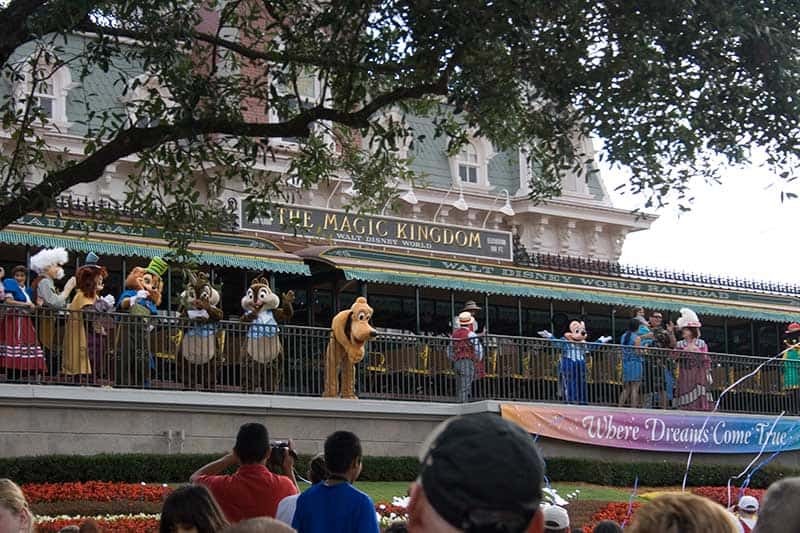 When the park opens you will see many characters – and lots of people lining up to meet them. Save character viewing for later in the day and head straight to your first attraction. The sooner you hit the rides the more you’ll get done during the day. 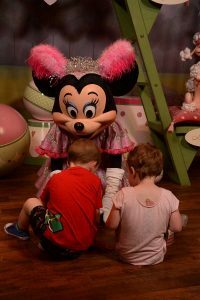 Make sure you let your kids know in advance why they won’t be able to stop and meet the characters to avoid any issues! 7. To meet the characters head over to Silly Pete’s Slideshow in Fantasyland where you’ll find Donald, Goofy, Minnie and Daisy just waiting to hang out and have a picture taken. The wait is rarely long as people don’t seem to know it’s there! 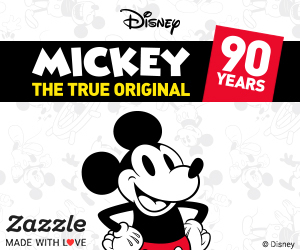 Don’t leave for your Disney vacation before you check out our collection of Personalised Disney Autograph Books! 8. When you book your Fastpasses make sure they are all after 11am in the morning because if you arrive for rope drops the lines will be too short in the first couple of hours of the day to waste one of your valuable Fastpasses. 9. Have your picture taken with Roy Disney and Minnie Mouse on their bench in the centre of Town Square near the flag pole. 10. The steam train is a great place to rest weary legs – and if you sit in the last car the conductor might let your children stand in the back as guest conductors. 11. When you’re in Tomorrowland keep your eyes peeled for Push the Talking Trashcan. He’ll happily strike up a conversation with you – he even sang Happy Birthday to me on my last trip. 12. If you visit the restrooms at Cosmic Ray’s be sure to keep your ears peeled. It is said that you can hear Stitch in the women’s restroom looking for Lilo while Lilo is in the men’s looking for Stitch. 13. 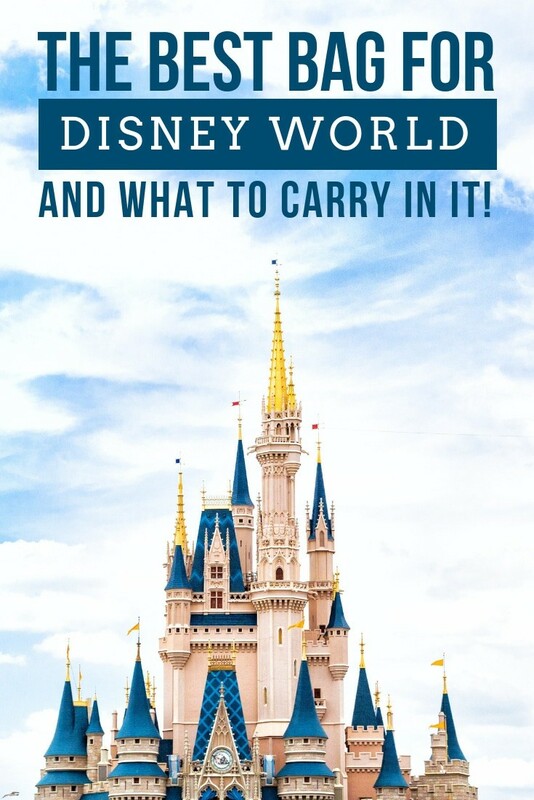 If you are able to spend two days at the Magic Kingdom then arrive for rope drop on both days. On the first day head to Fantasyland and on the second go to Tomorrowland. 14. Don’t ask for water in a counter service restaurant as they will sell you an expensive bottle – instead ask for a cup of water – which is free. 15. Before you enter the park you’ll need to go through a security bag check. 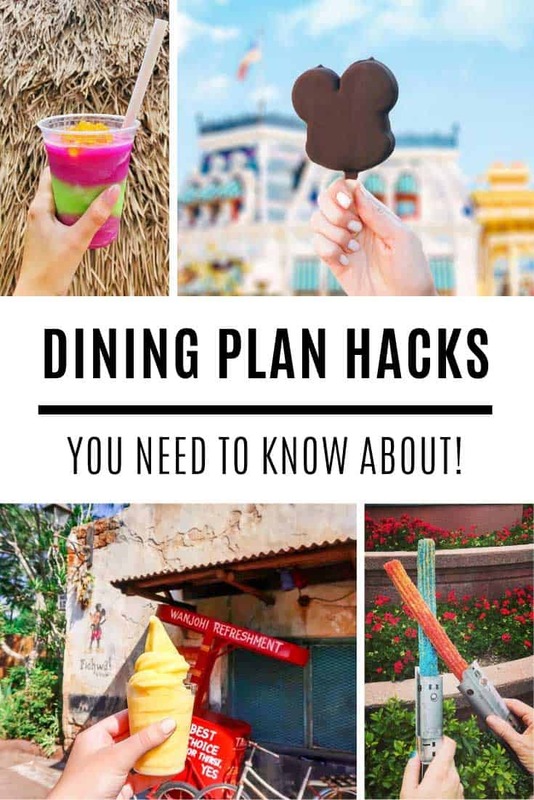 You can use both sides of the table so make sure you look for an empty spot – most people usually just join the end of a line! 16. The Jungle Cruise is much better after dark because the animals seem more realistic and the skipper tells better jokes! 17. If you are on a low carb diet then try one of the turkey legs from the snack carts. Beware though that they are large enough to feed a small family for an entire vacation! 18. Ride Big Thunder Mountain in the evening for a whole other ride – the coaster feels much faster in the dark when you can’t see where you’re going. 19. Another great place to rest is the Tomorrowland Transit Authority. This attraction is often overlooked but is one of the gems in the park. 20. Be careful when using the restrooms with small children as some of the larger ones have two exits so it’s easy to get separated. 21. If your children are learning a foreign language at school head to Guest Services and pick up a park map in the language – it will make it fun for them to learn while on vacation. 22. If it’s your first trip to Disney, your birthday or your anniversary then Guest Services will give you a special button so that everyone will know it’s your special day. 23. Inside the Main Street train station make sure that you look up at the shelves lined with suitcases. See if you can spot which ones belong to your favourite characters. 24. 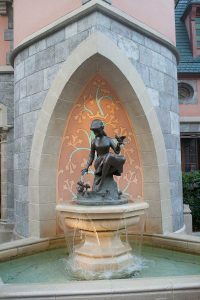 If you walk through the Castle towards Fantasyland you will see a fountain on your left with a statue of Cinderella standing in the middle. Bend down to a child’s height and you’ll see that Cinderella is magically wearing her crown. 25. Next to the Carousel in Fantasyland is a Sword embedded in a stone. See if your kids can pull it out while you capture their attempts on camera. 26. When you’re standing in line for the Haunted Mansion take the time to read the humorous tombstones – and be prepared for a surprise when you find Madame Leota’s. 27. In Adventureland you’ll find some towering Tiki Statues. Beware when passing by them as the Tiki Gods might send you a surprise! 28. At the exit to Splash Mountain is a soft floored playhouse which is usually quiet as not many people know its there. It’s the perfect place for your toddler to run off steam in the shade. 29. For a break away from the hustle and bustle take the raft over to Tom Sawyer’s Island. You’ll find some picnic benches and tucked away in the shade is a playground suitable for two to twelve year olds. 30. Dumbo is a popular ride with preschoolers and it has an interactive play area to keep them occupied in the line. You’ll be given a restaurant style pager so they can go off and play and then rejoin the line without losing their place. 31. If you need a break look for the brick porch near the Hall of Presidents. You will find two wooden rockers which make the perfect spot to enjoy frozen lemonade. 32. At 5pm a Flag Ceremony is held outside City Hall. If you are a veteran and would like to take part you can ask at City Hall. 33. If you’re travelling with young children they can have their ‘first haircut’ in the Barber Shop on Main Street. Your child will receive a certificate and Mom will get a few locks of hair.